I have a thing for old buildings. Most of the homes I have lived in have been pre-21st century. This is in stark contrast to my parents who relished the new. Our current house is a modernised Australian federation property that has retained many original features. It is quirky; I don’t mind that the solitary toilet is located as far from the front door you could possibly get without being in the back garden. 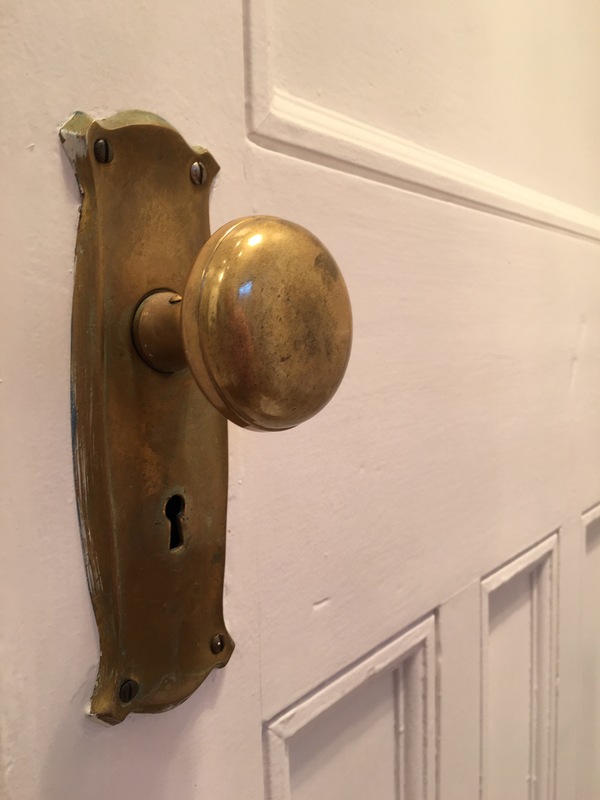 This brass doorknob is at its best when viewed from the light of two ceiling mounted heat lamps in the shower room. Winter of course is the ideal time for this endeavour. Its scratched surface and paint remains do not make it the most attractive pieces of door fitting, however I like its honest simplicity. A combination of opening device, push plate and key hole. I too like these sorts of things.